Life is filled with notable milestones and Bloom Magic is here to help you find the right bespoke hand-tied bouquet to capture and celebrate all of them. 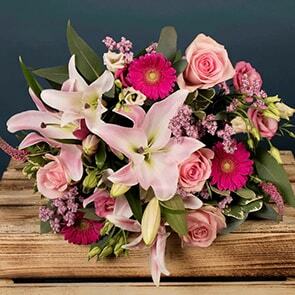 With same day flower delivery available in Dublin and next day delivery throughout Ireland, you will never need to miss another special occasion, no matter how late you have left it! Add a delectable box of chocolates, bottle of sparkling prosecco, scented candles or a delightful teddy bear to make your gift extra special. Did you know that each month has its own flower? Send the birthday guy or gal a truly personalised arrangement featuring the flowers of their birth month. Use our handy guide to find a great starting point for a luxurious bunch of birthday flowers. On Bloom Magic we have grouped together some of our most popular flower varieties for easy browsing of our Birthday Flowers selection or simply use our search tool to find exactly what you are looking for. Don’t forget that helpful staff is standing by via live chat, phone or email to answer any questions you may have. Love, one of the greatest gifts there is! A beautiful display of locally sourced romantic flowers complimented with meaningful varieties is the perfect reminder of your affection and admiration. For Valentine’s Day why not add sensual candles and an artisan greeting card to your order. Wedding Flowers can be delivered to any address in Ireland, we suggest confirming the delivery address with your venue before ordering so your flowers get where they need to go without fuss. Similar to birthday flowers, anniversary flowers have special meanings. 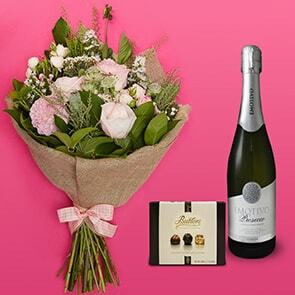 Treat your special someone to a delightful bouquet that highlights the years you have spent together, and if you accidentally forgot the date entirely we offer next day delivery to anywhere in Ireland and same day delivery to Dublin, just be sure order by 1pm, we won’t tell if you don’t! Highlight accomplishments like a new home, graduations or successfully passing a driver’s test with congratulations flowers that are vivid and bursting with life. Take new baby flowers up a notch by choosing something from our Gift Set collection. Along with a delightful bouquet, send the baby their very first teddy bear or perhaps a bottle of champagne for the parents to toast their new addition with. Show someone how much you appreciate them with Thank You flowers that last! Browse our bespoke catalogue by price, variety occasion or colour to find the perfect pick for Mother's Day flowers, Easter, Christmas, New Year’s Day and more. All Bloom Magic Flowers last for an extraordinarily long 7 days, giving a week’s worth of enjoyment to your recipient. Not all occasions call for a celebration. For someone battling an illness or recovering from an injury, a pop of colour can help to lift spirits and also serves as a reminder of those who care about them. When choosing get well flowers for a loved one in hospital we recommend checking if the hospital allows flowers on their wards. We also have a selection of sympathy and funeral flowers. 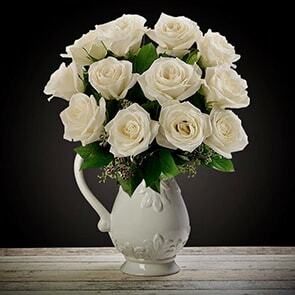 Consider including a vase with sympathy bouquets so the recipient can simply accept the delivery during this difficult time instead of worrying about how to display it. At Bloom Magic, we value our staff, customers, and vendors and we know that you do too, which is why we have developed a bespoke Corporate Flowers & Gifting Service. Contact us on 1800-901- 532, or support@bloommagic.com to get your business set up with a corporate account headed by a dedicated account manager. Make every day in your office a special occasion with weekly bouquets to bring warmth and light to reception areas, staff rooms or other facilities.